We, SS Automation & Packaging Machines, established in the year 2008, are one of the leading manufacturers and suppliers of a comprehensive range of optimum quality Packing, Filling, Sealing Machine & Conveyors. 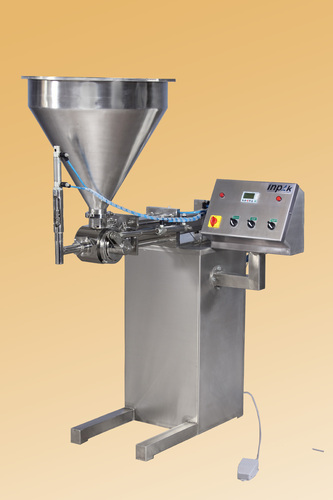 Our effective product range is inclusive of Powder Filling Machines, Granule Filling Machines and Automatic Liquid Filling Machines. The offered machines are precisely engineered using ultra-modernized machinery that is based on cutting-edge technology to ensure optimum standards of quality. Available with us at highly affordable market prices, these machines are highly demanded in the market for their rich attributes such as hassle free operation, low maintenance, minimum power consumption and robust design. We exports our machines in Middle East and African Countries. Since the inception, our organization has been supported by a team of highly skilled and experienced professionals. In order to avoid any kind of hassles in the workplace, our professionals work in close coordination with each others. These professionals are carefully recruited by experts through stringent selection procedures. Our selection procedures are precisely designed to analyze the skill and knowledge of different candidates as per the organization’s goals. The professionals are trained on regular basis in order to enhance and polish their skills as per the industry laid standards.